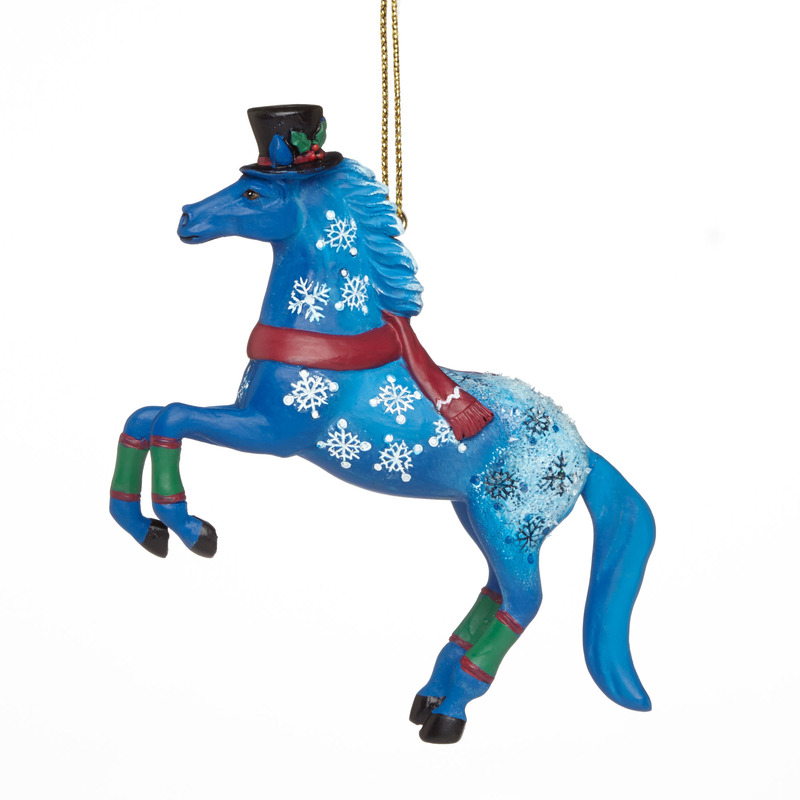 Jack Frost Ornament | Holiday Ponies Figurines | One Price Low Flat Shipping! From the Trail of Painted Ponies 2015 Holiday Ornaments Collection, Jack Frost Christmas Horse Ornament. Made of stone resin. Measures 2.5" tall. Horse comes with ready to hang cord attached and is packaged in a decorative Trail of Painted Ponies collectible gift box.